LookToTheStars.org’s Tim Saunders looks back at some of the work the cast and crew of The Hobbit: An Unexpected Journey did to help charity while filming the new trilogy, which had its world premiere in Wellington, New Zealand, this week. The stars hit the red carpet this week for the world premiere of The Hobbit: An Unexpected Journey, but it was undoubtedly Wellington’s hometown boy Peter Jackson who the thousands of people lining the 500 meter red carpet in New Zealand’s capital wanted to see. He’s nothing short of a hero around these parts, and some of the Hobbit hungry fans waited overnight to claim their spots to catch a glimpse as he led his gaggle of dwarves, elves and wizards to the first screening of the long awaited film. Among the stars making their way down the red carpet were Elijah Wood, Martin Freeman, Hugo Weaving, Cate Blanchett, Sylvester McCoy, Andy Serkis, Richard Armitage, James Nesbitt, Barry Humphries, Evangeline Lilly, Neil Finn and many more, as Wellington turned on a sunny but blustery day one would expect to see in Middle Earth. The trilogy of films have been several years in the making, and while in New Zealand many of the stars joined director Peter Jackson in giving back to the community where they could. This philanthropy began while the films were still in pre-production, in the aftermath of the devastating earthquake that struck the South Island city of Christchurch in February, 2011. 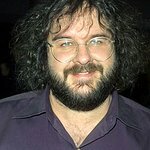 As the death toll following the quake continued to rise, Peter Jackson was one of the first to reach out to victims. He went on to join his special effects company, Weta, in auctioning some very special signed miniatures to raise money for the Red Cross. Among the items that went under the hammer were a Bag End Miniature Environment signed by Peter Jackson, and a Prancing Pony Environment signed by Weta head Richard Taylor. A few weeks later, the stars of the new film organized a game of celebrity charity cricket in Wellington to raise money for quake victims. The match saw two teams – coached by Russell Crowe (who doesn’t appear in the films, but was born in New Zealand) and James Nesbitt – go head-to-head for cricket supremacy. Among those taking part were Martin Freeman and Hobbit star Mark Hadlow, as well as Australian cricket legend Shane Warne, New Zealand Prime Minister John Key, and several All Blacks. The game raised $500,000 for charity. Earlier this year, Hobbit star Sir Ian McKellen donated his time to tour New Zealand with a one man show to raise funds to restore the quake damaged Isaac Theatre Royal in Christchurch. The show featured Sir Ian in intimate theaters around the country, answering questions about his life and work, and performing monologues from the many productions he has been part of. Peter Jackson, meanwhile, was instrumental in supporting the infamous Memphis Three in 2011, and brought one of them to New Zealand following their release after 18 years in prison. Earlier this year, Peter Jackson auctioned a visit to the set of The Hobbit to benefit Sir Ray Avery’s Medicine Mondiale, which “manages a global network of Scientific, Clinical and business experts who donate their knowledge and time to develop medical solutions which make quality healthcare accessible to everyone.” The auction also included the chance to get your face immortalized by Weat Workshop, and to record your songs with Neil Finn, who wrote the title track for The Hobbit: An Unexpected Journey. And just last week, Hobbit star Evangeline Lilly attended an event at a Wellington beach that saw the world sandcastle building record smashed to raise money for the Neonatal Trust, which “provides support to families of premature or sick full term babies as they make their journey through Neonatal Intensive Care, the transition home, and onwards.” Weta’s Richard Taylor and Tania Roger also attended. Giving back is alive and well here in Middle Earth – and it looks set to continue as the film makes its way around the world in the next few weeks, with the Duke and Duchess of Cambridge due to attend the Royal Charity UK Premiere of the film in London on December 12, to raise money for the Cinema and Television Benevolent Fund.